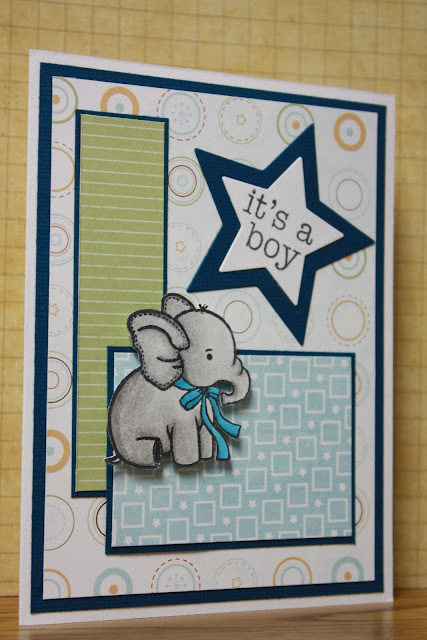 I am totally thrilled with how this card came together. At first I didn't have the elephant image and it looked blah and needed something. So I colored this sweet little image and added it. Totally made the card, in my opinion.